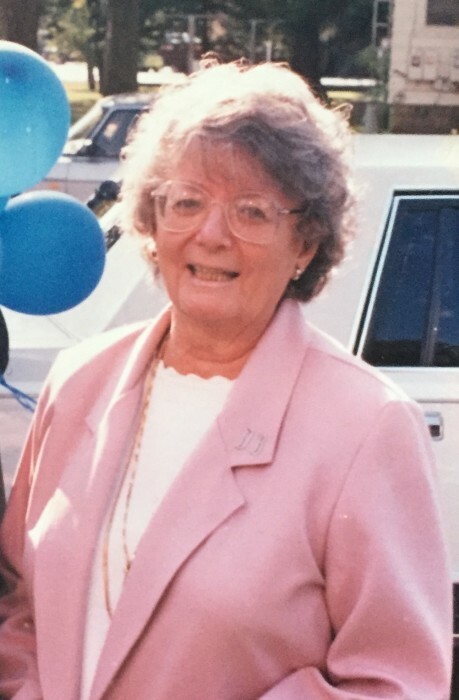 Dolores Marie (nee Seeman) “Dee” Bertino was called home on January 20, 2019, having spent all her life surrounded by the love of her family, and in her final days, comforted by their presence, voices, and laughter. Dee was born on January 28, 1931 in Joliet, the daughter of LeRoy and Minnie (Giacoletto) Seeman. She was a graduate of St. Francis Academy, Class of 1949. Dee married Raymond J. Bertino on August 19, 1950 at the Church of St. Anthony, and together, for 68 plus years, they enjoyed a life made rich by the gifts of a loving family, good friends and a strong faith. The mother of three girls, Dee was first and always a Mom, a role model, and a friend, who championed her daughters throughout their lives. She was a proud, fun and fun-loving grandmother and great-grandmother. She was always “present” in our lives, loving us unconditionally. Dee was a member of the Church of St Anthony and the Cathedral of St. Raymond parishes. When her children attended St. Raymond School, Dee served as President of the Parents Group, on the Cathedral Parish Board and was active in school and parish life. She was involved in the initial efforts to form the Cathedral Area Preservation Association. In recent years, Ray and Dee had been strong supporters of the work at Morning Star Mission. For many years, Dee was the secretary to the Director of Special Education of the Joliet Grade Schools. After she retired, she became a familiar face and volunteer at the schools where her daughters pursued their careers. She was named a United Way Volunteer of the Year for her work at the Joseph Fisher School operated by SOWIC and received a CAPE award from Ridge Elementary, PSD202. Dee will be remembered for her kindness, generosity, friendliness, and devotion to her family, as well as for the value she placed on education and service to others, her love of reading, and her amazing Scrabble skills. Honoring and keeping her memory alive are her husband, Ray; her children Lynn Marie and Doug Neville, Cynthia Brown and Lori and Dennis House; her grandchildren Jennifer and Brad Carlock, Michael Brown and Vidya Sathyamoorthy, Kevin House, Keith House and John and Kim Neville; her great-grandchildren Matthew and Natalie Carlock and Sara and Connor Neville; her “sister” Ellen Seeman, Jim and Mary Ann Bertino Crater, Ruth Bertino and numerous nieces and nephews to whom she was and will always be “Aunt Dee”. Dolores was preceded in death by her parents, her brother Donald Seeman, her sisters JoAnn Soave and Sharon (Jim) Harrier and her sisters and brothers-in law Edith and Bob Irwin, George and Lee Bertino, Bob and Ann Bertino, Betty and LaVern Kren, Tom and Bev Bertino, Larry Bertino and Joe and Gerry Bertino. The family thanks Father James Lennon of the Church of St. Anthony, Margie Stanfel and the staff of Joliet Area Community Hospice, and the DuPage Oncology Medical Team for their compassionate care. Visitation with the family will be Thursday, January 24, 2019 from 4-7pm at the Blackburn-Giegerich-Sonntag Funeral Home. Family and friends will gather at the Church of St. Anthony for a Mass of Christian Burial on Friday, January 25, 2019 at 10am, with visitation at the church from 9:30am to the time of services. Interment will be at Resurrection Cemetery in Romeoville, IL. In lieu of flowers, donations to the family to honor Dee’s wishes, to Morning Star Mission or to Joliet Area Community Hospice will be appreciated.